Exciting News from the Fenway Health Medical Team | Fenway Health: Health Care Is A Right, Not A Privilege. Exciting News from the Fenway Health Medical Team | Fenway Health: Health Care Is A Right, Not A Privilege. 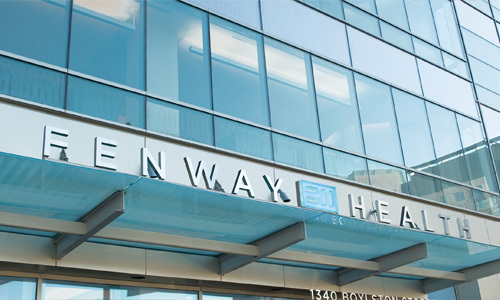 Exciting News from the Fenway Health Medical Team – Fenway Health: Health Care Is A Right, Not A Privilege. On March 15, Fenway Health hosted a dinner for LGBTQ & Ally medical students, NP/PA students, and residents/fellows. Over 50 attendees had a great time connecting with others in their fields. Being an out LGBTQ provider was once very risky, and this event is a testament to how far we’ve come. We’d like to give a special thanks to Gery Armsby, our Medical Education Coordinator, for planning this wonderful event. The dinner was a success because of Gery’s planning and coordination. We’d also like to thank the following Fenway Health staff who attended the dinner: Physicians Jennifer Potter, Carl Streed, Adi Chandrasekhar, Hubert Roberts, James Wilterding, and JP Bettencourt; Nurse Practitioners Dan Kahn, Sarah Elgart, Emily Ferjuste, Helena Turner, and Jimmy Kamel; Physician Assistant Jill Frushtick; and Executive Director of Nursing Janet Mulligan. In other exciting news, we’d like to congratulate our colleagues Dr. Simi Padival and Dr. Ami Multani for their contributions to a recently published textbook titled Introduction to Clinical Infectious Diseases. Both physicians served as co-authors for the following chapters in the book: Human Immunodeficiency Virus I: History, Epidemiology, Transmission, and Pathogenesis; and Human Immunodeficiency Virus II: Clinical Presentation, Opportunistic Infections, Treatment, and Prevention. Please join us in congratulating Simi and Ami!